A 1989 TRADITIONAL TURKISH GULET designed by Sefe Cankaya and Niyazi Dincer for the Turkish Gulet Cruise Line. 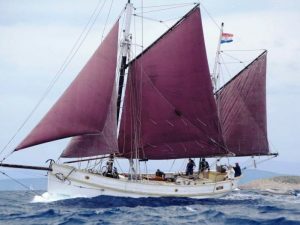 A recently built traditional Turkish Gulet, constructed to a high specification, offering generous accommodation ideal for extended cruising or charter work, subject to coding. Re- launched 1st March 2017 after full hull re-paint. Estimated 5,000 euros of finishing work required before fully re-commissioned. Romantic Turkish Gulet providing spacious accommodation. Island Dancer offers one-off, unprecedented, uncluttered free deck space for her size this side of the Mediterranean, allowing an endless potential for hosting guests or events or for spacious lounging or placement of equipment. She has fine quality teak decking on forward and aft decks and provides internal and external conning positions. 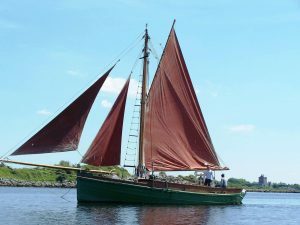 She was originally built in Turkey for the owner and the family of the construction yard and the design was upgraded; the construction design being a double ribbed oak hull frame, providing her with additional rigidity. 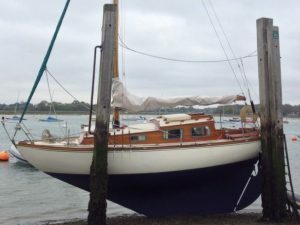 Having been steel shoed from new, which keeps her classic line, Island Dancer offers a great cruising ship and live aboard potential. 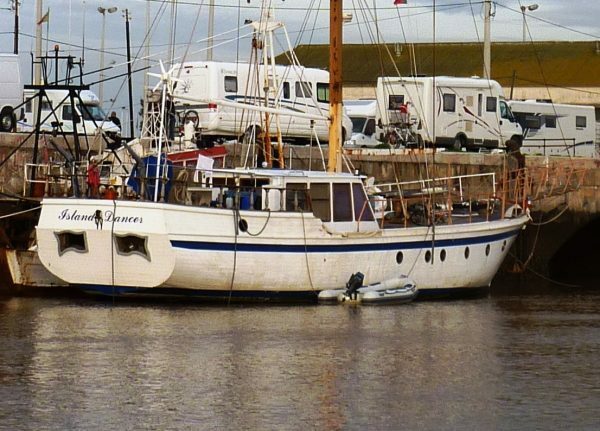 The second owner has had her for ten years and she has proved her worth in heavy Mediterranean seas. Recently the mast has been removed to allow her to make passage to the upper reaches of the River Guadiana on the border of Spain and Portugal. Service status Last out of water August 2013. Full removal of paint, timber treatment and repaint of hull. The forward accommodation comprises of 5 double cabins and galley. Motor Sailing boat of classic traditional design. Equipped to MCA Category 2 Charter specification. Bar area, sink, storage cupboards, and drawers. Further built-in cupboards and drawer units under stair and deck storage. Space for washing machine, double fridge freezer. Shelving for laundry storage. Ships’ medical supplies. Leading to access to secondary accesses to engine room. Double cabin providing two single built-in bedding area, with storage under and built-in drawer unit, with wall hung wardrobe. Door leading to shower room comprising of Jabsco electric full size w/c head. Double cabin providing one double built-in bedding area, with storage under and built-in drawer unit, with wall hung wardrobe. Door leading to shower room comprising of Jabsco hand pump w/c head. Door leading to shower room, comprising of Jabsco hand pump w/c head. Large master cabin providing ample built-in bedding area, for up to four if required, with large storage underneath. Substantial built-in cupboard space and two built-in wardrobes. 12 volt 220 volt inverter. Large built-in sink unit storage under, Jabsco electric w/c head, wall hung drugs cabinet. Forward hold Ex crews quarters. Main floor storage space battery box, inox 250 L generator fuel tank, further rope storage and general storage. 220 volt 75 Litre water heater. Housing for Mitsubishi L2C 8 KV marine diesel generator, and mains 220v salt water pump. 24v Heavy duty US electric hydraulic pump, to feed future bow thrusters and back up Anchor winch and a Side hung crane capacity. Forward area containing chain locker 100 meters 12mm chain. General aboard lighting 24 volts as well as 220 volts. Raymarine ST 80 wind indicator. Raymarine ST 60 depth gage. Raymarine ST 60 speed gage. Wired in stand-alone, for above items. Vetus 12 gang switch panel 12 volt feed. Vetus 12 gang switch panel 24 volt feed. Fuel tanks and battery box. Forced ventilation system to engine room and battery box. Two Soles B 8 man Zodiac Life Rafts in cases. 9 175 Newton life jackets in bags.